Welcome! This time we want to help you to learn how to crochet the Suzette stitch by following an easy and simple step by step tutorial with a video! It is really important to learn this stitch technique because it can be used to so many projects that you can have in the future. It is beautiful and inspiring… The author of this video did an amazing job to describe a whole process step by step and answer all of the questions that you might have. Use this stitch technique to crochet some baby blankets, hats, scarves and many other things that you might want to try! 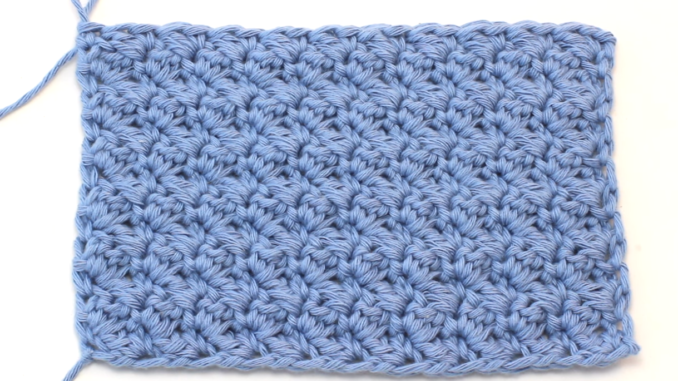 Share this tutorial with your friends and learn together how to crochet the Suzette stitch! Maybe it will make the process even more enjoyable!